We made some fresh traditional pizzelle so you can come and try some and/or bring some home! These are made with anise. When we were making them at the caffe in the morning, people would come in and say, “Did I smell black licorice?” It’s yummy. P.S. 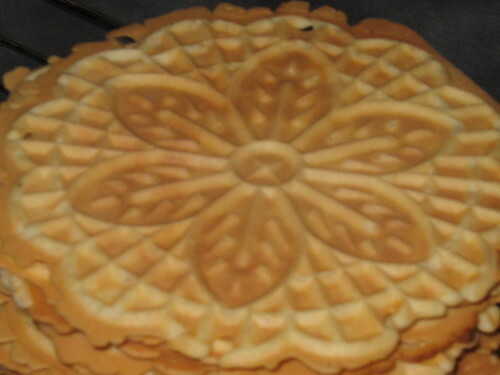 Pizelle: The word pizzella (singular, pizzelle is plural) literally means “small round and flat bread” and in this case, a thin, pretty, round and yummy cookie!